Mike here with ScannerAnswers. We’ve been getting a lot of questions about how to choose an OBD2 code reader for Nissan vehicles. The guys and I got together last weekend and tested out 5 OBD2 readers that we think answer that question. Nissan is the leading Japanese brand in Russia, China and Mexico. Toyota is the world’s largest automaker, but Nissan is not far behind. In fact, because of the Nissan-Renault alliance back in 1999, Nissan is currently ranked as the 4th largest automaker in the world. Masuhiro Hashimoto established the Kwaishinsha Motor Car Works in 1911, and the Nissan name was used beginning in 1934. The most popular Nissan vehicle at the moment is the magnificent GT-R, which was introduced in 2007. We were supposed to test our OBD2 Nissan scanners on a 2009 GT-R, but due to time restraints, we used a fourth-generation 2009 Nissan Altima with the 3.5-liter V6 engine, and a 2008 Nissan Maxima with a CVT transmission. The BlueDriver is at the higher end of the price scale, but you get what you pay for. This is the most expensive of the OBD2 scanners we tested for our Nissan test vehicles, but there is something about this device that makes it such a pleasure to use. It’s officially licensed with Apple and Android, so you never have to guess if your phone with support it. You also get unlimited access to the “Repair Reports” which includes over four million fixes to common car problems. And these fixes are all verified by certified mechanics! If you want a wireless obd2 scanner that support your Nissan and all other vehicles, works on Android, iPhone, iPad, and will get the job done, then look no further. Bottom line: If you can afford to, get this scanner today! For some, you might prefer the cheaper scanners, and that’s okay, but sometimes you’ve got the splurge and buy the best obd2 reader for your Nissan that you can afford. Connects up to your Android of iPhone and give instant insights into your vehicle! 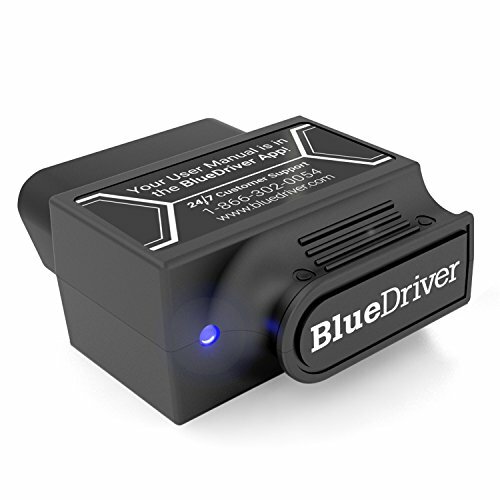 Very affordable wireless OBD2 connector! Compatable with almost any vehicle made after 1996! We spend a lot of money on car maintenance and repair, so it makes sense to choose an OBD2 scanner that is easy on the pocket. 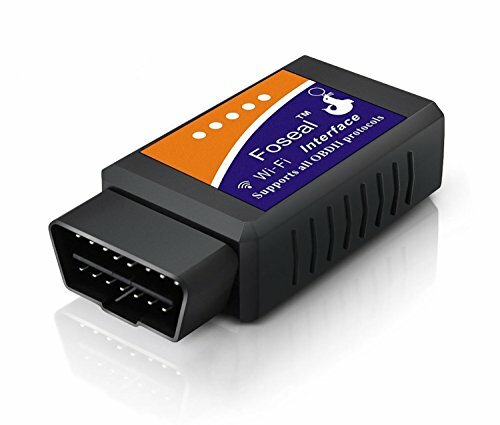 The Foseal WiFi OBDII Diagnostic Scanner is a great low price, and it works via Wifi. No more wires, no more fuss. This is one of our favorite OBD2 scanners because it’s one of the only code readers that works with Apple iOS AND Android (and Windows…). Most wireless diagnostic tools are bluetooth only, and not compatible with iOS. 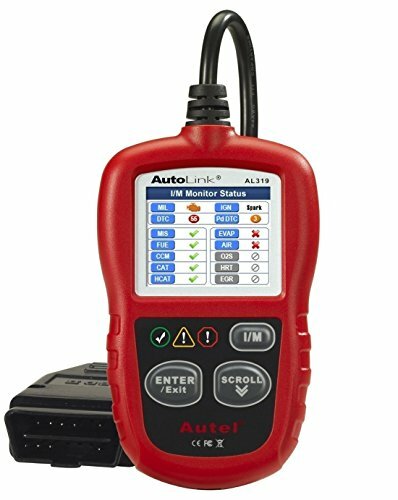 This device can read diagnostic trouble codes, erase the check engine light, display generic and manufacturer specific trouble codes, and display current sensor data. Since it works via Wifi, you can leave this device plugged in while you drive your car, which is great if you like tuning your Nissan. Our Altima test car had a faulty crank sensor, and the Foseal WiFi OBD2 ELM327 Code Reader was able to detect the fault in less than 30 seconds. We were able to view all our sensor data on our Android device, but you need the Torque app for the device to work flawlessly. We also connected it to Kaitlyn’s iPhone 6s just to make sure it worked well with iPhone. Sure enough! After downloading the iOS app DashCommand it was connected within seconds. Two Year Warranty! Wireless connects to your Android phone to display live sensor data, read and clear CEL codes! Very Affordable! It’s always a toss up around here between the BAFX 34T5 vs Foseal wifi. We haven’t been able to decide which one is the best because they both have awesome features. 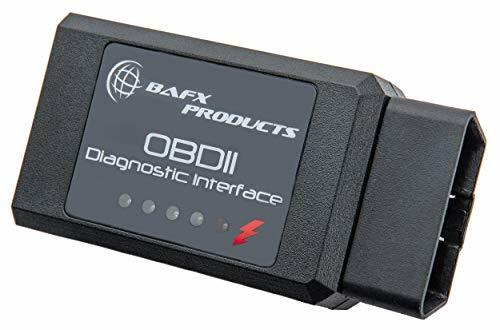 However, for this list of Nissan OBD2 scanners, we decided to rank the BAFX just under the FoSeal simply because it doesn’t supports iOS and costs slightly more… If don’t care about iPhone support and want a code reader that has a 2 year warranty and guaranteed vehicle support, the BAFX is a great option! We love Bluetooth scanners, because we like scanning without using wires. Robert’s Nissan Maxima was having acceleration issues, so we hooked up the BAFX 34t5 OBD2 Scanner to determine the cause of the issue. Mind you, there was no check engine light on the dash, but Robert insisted that there are times when the check engine light will remain on, and turn off after a while. As it turns out, the Maxima had a faulty throttle sensor. After further investigation, we were able to deduce that Robert didn’t do a very good job of cleaning the throttle body. We simply purchased a can of throttle-body cleaner, removed the throttle body, and cleaned the entire part with the spray. We know that the BAFX 34t5 OBD2 can scan, read, diagnosis and erase trouble codes, but it also saved us a lot of money and headaches in the process. The best part? The device cost just over (lowest price here). 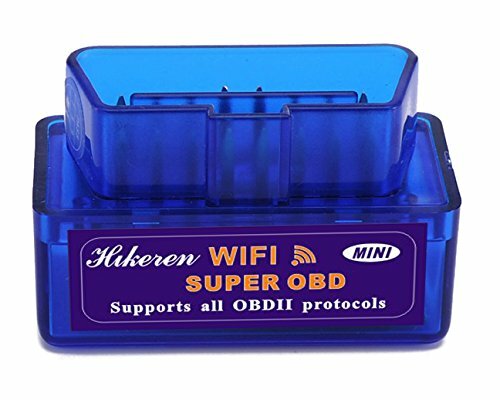 If your Japanese car has a 16-pin connector and is OBD2 compliant, then the Hikeren OBD2 Diagnostic Scanner is perfect for you. We fired up our test Altima, and we plugged-in the V1.5 to the diagnostic port. The device was able to detect the fault immediately, even though our smartphone was running out of power. We juiced up our device and we gave it another go. This is not only a Bluetooth code reader, but like other wireless scanners, it can also display current sensor data. We were amazed that this scanner is actually cheaper than the pair we previously tested above, but it works quite as well. It seems we were having a good day. Interested in the Hikeren Mini? The Hikeren is 10 bucks cheaper than the BAFX and FoSeal, but we ranked the Hikeren just below the BAFX and FoSeal just because the quality control for this unit is hit or miss. Vince picked one up last month that wouldn’t pair with his phone. Even though Hikeren was quick to replace the module with a working, it’s something to be aware of. Robert and I were wondering why wired OBD2 scanners are more expensive than wireless or Bluetooth scanners. Is it the added material? Do wires really cost that much? We have no idea, and we’re not saying that the Autel 319 is outrageously expensive. In fact, this device is still relatively cheap, and we would gladly pay $30 for a good OBD2 scanner. It runs out that this device is not just good, because it is actually excellent. The simplicity of the interface works like a charm, and it will work on all 1996 and newer Nissan vehicles, including CAN-BUS, VPW, PWM, ISO and KWP2000 protocols. Autel is a name that you can trust in this industry. They were founded in 2004 and have a reputation for manufacturing high quality diagnostic tools for professional technicians, and backyard mechanics alike. The backlit LCD is a bit old school, but who needs a high-resolution screen to effectively diagnose a fault code? We also tried retrieving the VIN of our Maxima using this device, and we are glad to say that it worked. If you have doubts using a wireless OBD2 scanner for your Nissan, then this is the right scanner for you. You may have noticed that our choices for the 5 best OBD2 scanners for Nissan will also work for other Japanese brands such as Toyota, Mitsubishi, Subaru and Mazda. This is precisely the reason why we like working with Japanese cars: they are less complicated than German brands, and they don’t require special tools either. Mike here with ScannerAnswers. We've been getting a lot of questions about how to choose an OBD2 code reader for Nissan vehicles. The guys and I got together last weekend and tested out 5 OBD2 readers that we think answer that question.